Buy & Sell Agreements. 100% Money Back Guarantee. This Buy & Sell Agreements Kit is for use in buying or selling real estate. 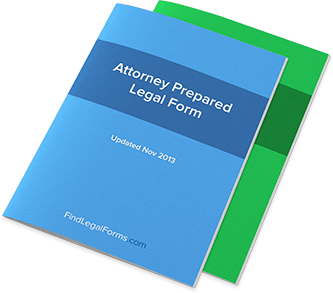 These attorney-prepared agreements cover an array of real estate transactions, from Agreements regarding Commission, to Consent of Seller for Purchase and Sale, to letters terminating a particular transaction. These agreements have been specifically designed to assist you in conducting your real estate transactions, with easy to understand and legally compliant forms and agreements. Available to download immediately. When you make an offer on a home, your real estate broker will put your earnest money into an escrow account. If the offer is accepted, your earnest money will be applied to the down payment or closing costs. If your offer is not accepted, your money will be returned to you. The amount of your earnest money varies. If you buy a HUD home, for example, your earnest money deposit generally will range from $500 – $2,000. The more money you can put into your down payment, the lower your mortgage payments will be. Some types of loans require 10-20 percent of the purchase price. That’s why many first-time home buyers turn to the FHA for help. FHA loans require only 3 percent down – and sometimes less. Closing costs, which you will pay at closing, generally average 3 to 4 percent of the price of your home. These costs cover various fees that your lender charges and other processing expenses. When you apply for your loan, your lender will give you an estimate of the closing costs, so you won’t be caught by surprise. If you buy a HUD home, HUD may pay many of your closing costs. Down Payment: This percentage of the sales price must be paid up-front and can vary by lender, location, and loan program. A higher down payment generally translates into lower loan interest rate requirements. While conventional loan down payments may be close to 20 percent of the sales price, government loans typically have lower down payment requirements. This allows potential home buyers who normally can not meet down payment requirements an opportunity to qualify for a mortgage. Keep in mind that down payments less than 20 percent of the sales price typically require mortgage insurance payments. Using a real estate agent or broker is often a very good idea. All the details involved in home buying, particularly the financial ones, can be mind-boggling. A good real estate professional can guide you through the entire process and make the experience much easier. A real estate broker will be well-acquainted with all the important things you’ll want to know about a neighborhood you may be considering: the quality of schools, the number of children in the area, the safety of the neighborhood, traffic volume, and more. He or she will help you figure the price range you can afford and will search the classified ads and multiple listing services for homes you’ll want to see. With immediate access to homes as soon as they’re put on the market, the broker can save you hours of wasted driving-around time. When it’s time to make an offer on a home, the broker can point out ways to structure your deal to save you money. He or she will explain the advantages and disadvantages of different types of mortgages, guide you through the paperwork, and be there to hold your hand and answer last-minute questions when you sign the final papers at closing. Generally, the broker or agent’s payment comes from the home seller - not from the buyer.